There are many different types of Kindle tablets to choose from and with the newest addition of Kindles it makes it harder to choose which on is the best for you. So, you can’t decide whether the Kindle Fire HD 8.9” tablet or the Kindle Fire HDX 8.9” tablet is better for you; well I am here to give you some advice you need to decide which 8.9″ Kindle Fire is better for you and your needs. 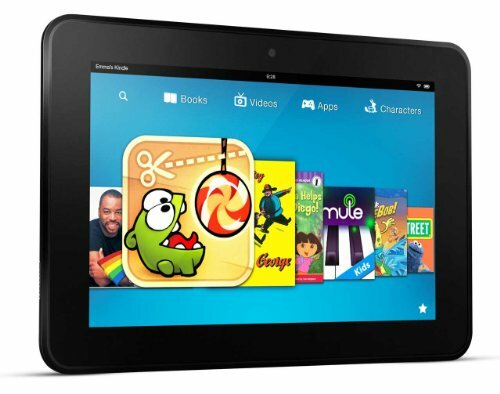 So what is so good about the latest Kindle Fire HDX 8.9” tablet 2013? 2.0.2 Is Kindle Fire HD 8.9” (2012 model) good enough for me? 1. Display of 2560×1600, Pixel Density of 339 PPI, and perfect color 100% sRGB. With the Kindle Fire HDX 8.9” tablet you get even better quality of the Kindle with more speed, power, and less weight. The Kindle Fire HDX 8.9” tablet is great for on the go, work, play, reading, and everything else you can do in between. It has clear picture when watching shows but, it also has great picture taking capabilities, high speed internet, and a great “Mayday” button for any problems you may have and you can use it 24/7 days! There have been many updates from the Kindle Fire HD 8.9” tablet to the newest Kindle Fire HDX 8.9” tablet which has made a great change for people. The Kindle Fire HDX 8.9” gives a better, clearer picture and a faster browsing experience. 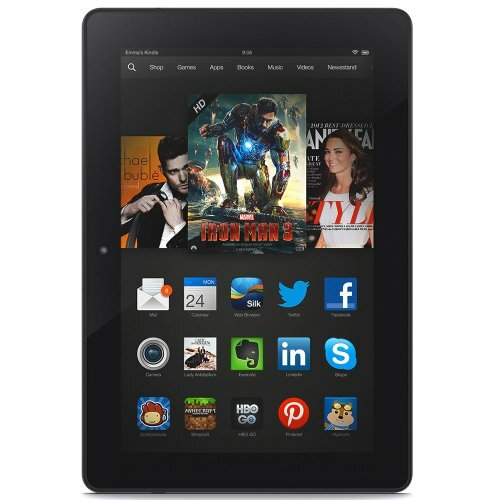 With the Kindle Fire HDX 8.9” tablet you can get great customer service any day any time at just a push of a button. With the newest Kindle you have two different cameras so you can take a picture from the back of the Kindle, as well as, a forward facing camera to Skype with or take personal pictures with. 8. Price has dropped to $229 Only! Is Kindle Fire HD 8.9” (2012 model) good enough for me? With the Kindle Fire HD 8.9” tablet you get all these great things in one tablet. You can watch movies or video’s with a clear crisp color, great sound, all through WiFi. You will have a great choice to choose from for your movies, videos, games, and even books in Amazon Store. This tablet is a great tablet to use for your day to day life. Now, the price has gone down to $229 which is a no-brainer. I’d call it’s the cheapest 8.9″ tablet with a great deal in 2013. If you want the best quality pictures and sound the best Kindle for you would be the Kindle Fire HDX 8.9” tablet. You will be able to browse the web a lot faster, have better quality pictures, and a great high quality camera in the front for personal use such as for pictures of yourself and Skype. The Kindle Fire HD 8.9” tablet is great for a starter tablet or for a tablet that you will use for your personal use and not for work. The 2012 model is still good for your basic needs and is still a great tablet under budget ($110 Cheaper). For someone who wants to have the best Kindle Fire quality experience, then the Kindle Fire HDX 8.9” tablet. So you may not think the best thing for you is the Kindle Fire HDX 8.9” but, when you think about all of the great updates you have with the newest Kindle, you will get the best bang for your buck! Go ahead and find out for yourself! Valentine’s Day Gift Ideas for Your Boyfriend: Kindle the Love!